According to the Bureau of Labor Statistics, a total of 163.6 million persons worked at some point during 2016. The number of persons who experienced some unemployment during that year was 15.6 million, a declined by 1.4 million compared to 2015. This is more statistical evidence that the U.S. job market is reasonably healthy and improving. Brian Howard was recently interviewed by Virginia Franco on Business Innovators Radio Network. The interview was an engaging discussion covering a wide variety of job search topics. You can listen to the interview on Business Innovators Radio Network or on Resume Storyteller with Virginia Franco. 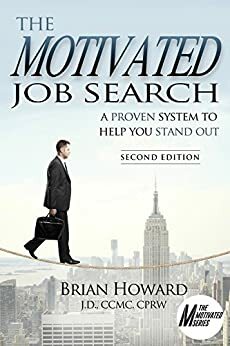 Brian Howard is the author of The Motivated Series of job search books which include: The Motivated Job Search, The Motivated Networker, Over 50 and Motivated, The Motivated Job Search Workbook, and Motivated Resumes and LinkedIn Profiles – all of which can be purchased on Amazon.